Roofs are an important part of any residence. They provide coverage from all the exterior elements, such as rain, wind, sleet, and snow, just to name a few. They also protect people from the extreme sunlight that can happen in the southern part of the globe as well as from insects and other outdoor animals. A home would not be complete with a roof, therefore, making sure the roof is in good working condition is very important. Residential roofing repairs are one of the costliest repairs there is for a homeowner, so making sure to get the best help possible is vital. Roofers Richmond Hill is an experienced licensed roofing company that specializes in residential and commercial roofing. 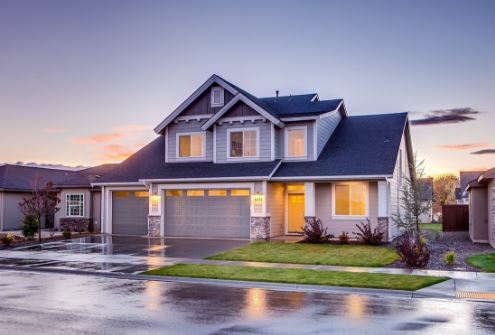 We have been in the business for years and we understand the importance of a roof to a homeowner, along with the strain this can place on a budget as well. We strive to understand your roofing problem and determine the best solution possible while minimizing the impact to your budget. Since this is one of the major cost a homeowner will spend on their home you need trained professionals that will do the job right the first time. There are companies out there that try to take advantage of homeowners by doing minimal work expecting to be called back for additional fixes in the future, that they could have fixed the first time. We stand by our work and we offer a warranty unmatched by many other companies in the Richmond Hill community. When you hire us to fix your roof you are hiring a company that prides themselves on getting you the best possible service at the most economical price. We go out of our way to ensure the customer is well taken care of and you can rest assured if we are on the job, your greatest investment is in good hands. There are many types of roofs on the market, from gable, mansard, hip, saw tooth, and on and on. You need an experienced roofing contractor that has experience with all different types of roofs to be able to handle the issues that may present themselves. With our years of experience, there is nothing we have not seen, and we have even trained other contractors on roofing best practices. Each of our roofing contractors goes through a rigorous training program to certify them as licensed roofing contractors. Even after that process is complete they are each required to attend ongoing training to enhance their skills and learn about new technology that is coming to the residential market. We are highly regarded in the Richmond Hill community and we invite you to look at our reviews and see for yourself what others are saying about our company. We think we are good at what we do, but others agree with us as well. We will always put your needs first and make sure your investment is well taken care of. So, if you have a problem or concern, or even if you just have a question give us a call at 647-559-1617, and let one of our customer service representatives get your questions answered.